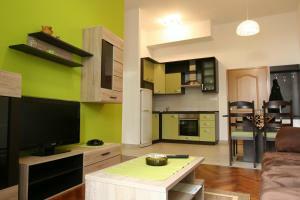 Apartment Daniella presents pet-friendly accommodation in Trogir. 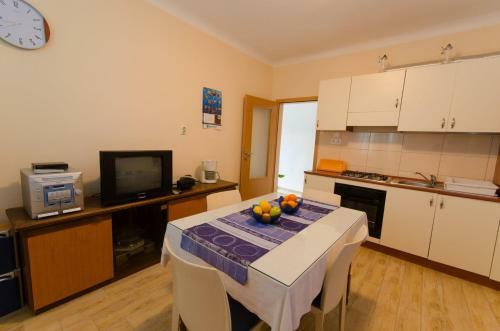 The apartment is 800 metres from Trogir Bus Station. Gratis wireless internet is offered and free car parking is available on site. 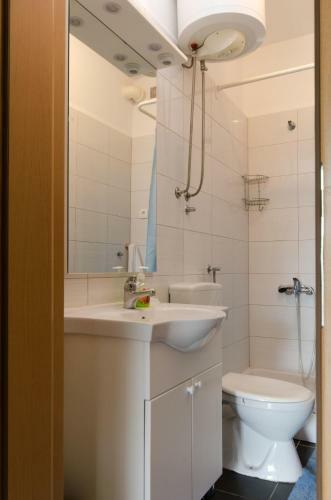 The kitchen is equipped with an oven, a fridge and a stovetop and there is a private toilet. Lawrence is 900 metres from Apartment Daniella, while Radovan's Portal is 900 metres away. 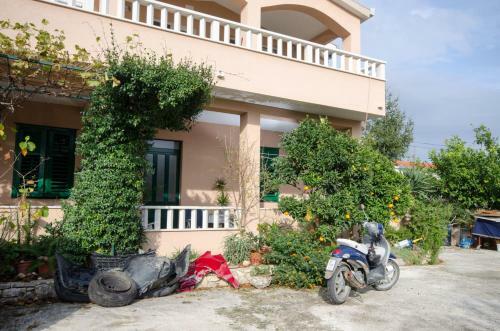 The closest flight terminal is Split Airport, 3 km from Apartment Daniella. 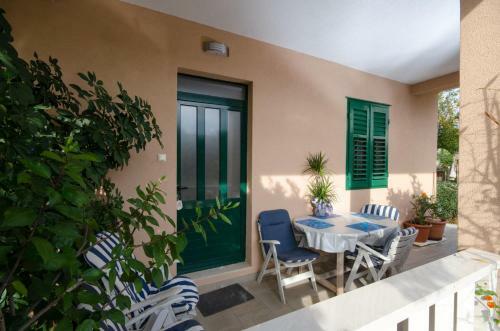 Apartment Piteša ~0,2 km, Trogir price per day from € 60 Centrally situated in Trogir, Apartment Piteša presents self-catering accommodation comes with a balcony and sea views. 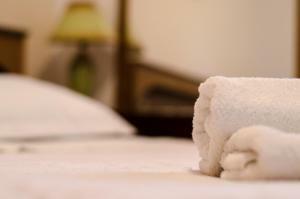 The apartment also presents Barbecue amenities and gratis wireless internet access. This air-cooled apartment comes with a lounge and satellite television. 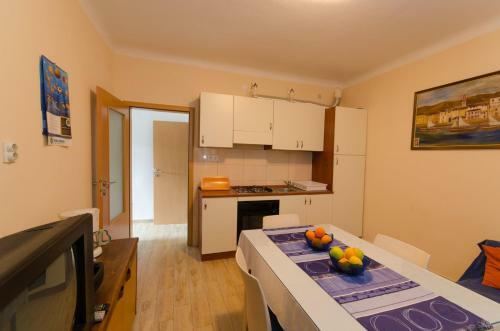 There is also a dining area and a fully-equipped kitchen with dishwashing machine. Piteša Apartment is positioned a 15-minute walk from the Basilica of Sain Lawrence and Trogir Bus Station. 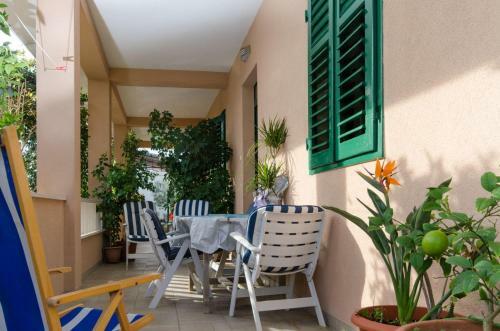 Apartment Svilan ~0,1 km, Trogir Positioned in the city of Trogir and the sea shores set only steps away, Apartment Svilan presents a self-catered accommodation with an air-conditioning, a back yard, gratis wireless internet available in all areas and free car parking. 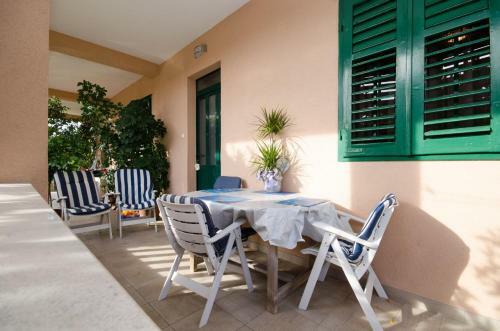 Apartment Svilan comes with an outdoors terrace, a lcd tv with satellite channels, a well-fitted kitchen with a dining area, a washing machine, a sofa bed, a seating area, a safety deposit box and a private toilet with a shower and a hairdryer. 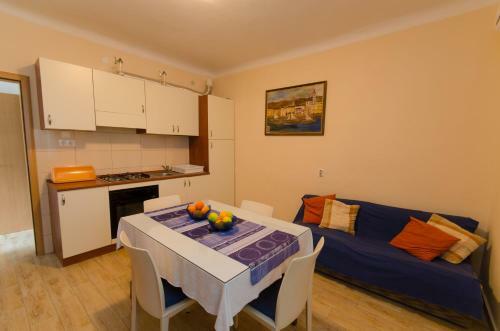 Apartment Daniella ~0.1 km, Trogir price per day from € 61 Apartment Daniella presents pet-friendly accommodation in Trogir. 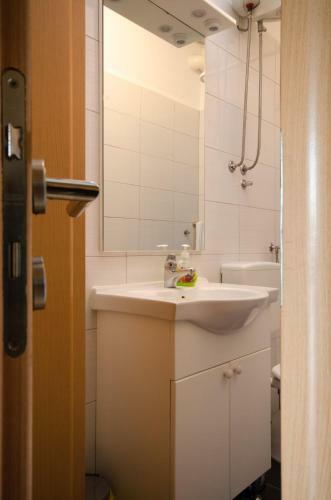 The apartment is 800 metres from Trogir Bus Station. 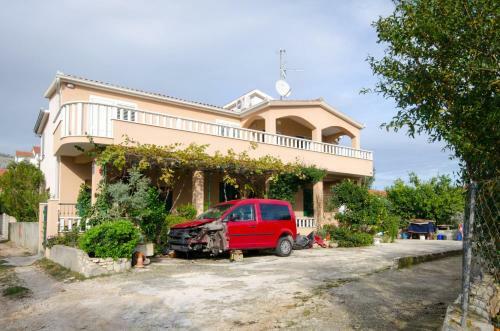 Gratis wireless internet is offered and free car parking is available on site. 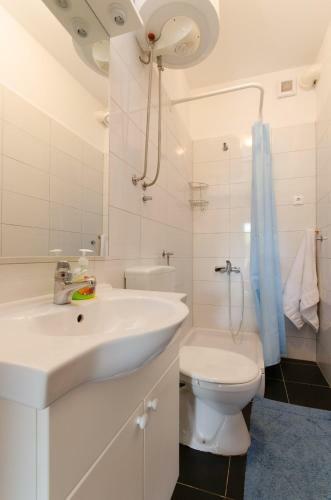 The kitchen is equipped with an oven, a fridge and a stovetop and there is a private toilet. Lawrence is 900 metres from Apartment Daniella, while Radovan's Portal is 900 metres away. 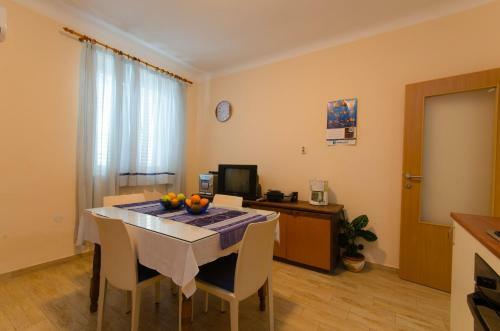 The closest flight terminal is Split Airport, 3 km from Apartment Daniella. Seget Donji ( ~ 2.3 km ): 108+ apartments, 94+ villas, 2+ hotels. Arbanija ( ~ 2.7 km ): 388+ apartments. Okrug Gornji ( ~ 4.2 km ): 785+ apartments. Seget Vranjica ( ~ 6.3 km ): 255+ apartments. Slatine ( ~ 6.3 km ): 251+ accommodation units. Vrsine ( ~ 9.2 km ): 8+ villas/holiday houses. Beach Pantan, Trogir ~ 1,3 km from Apartment Daniella Sandy beach: ideal for families, with caffe bar, equipped with showers. Beach Mavarstica, Okrug Gornji ~ 3,3 km from Apartment Daniella Sandy beach: ideal for families, recommended for young people. Beach Medena, Seget Donji ~ 3,4 km from Apartment Daniella Gravel beach: ideal for families, recommended for young people, with restaurant, with caffe bar. Excellent choice of watersports. Beach Okrug Gornji, Ciovo ~ 3,8 km from Apartment Daniella Sandy beach: ideal for families, recommended for young people, with restaurant, with caffe bar, equipped with showers. Excellent choice of watersports. Beach Kava, Slatine ~ 9,7 km from Apartment Daniella Gravel beach: ideal for families, with restaurant, with caffe bar. Restaurant Sv Dominik, Trogir Guest reviews: 9,2/10 ~ 2,3 km from Apartment Daniella Address: Blazenog Augustina Kazotica 1, 21220, Trogir. Cuisine: Croatian cuisine. Restaurant Mediteraneo, Trogir Guest reviews: 8,5/10 ~ 1,4 km from Apartment Daniella Address: Ulica Kralja Tomislava 70, Trogir. Cuisine: Croatian cuisine. Restaurant Kristian Pizza, Trogir Guest reviews: 9,1/10 ~ 2,2 km from Apartment Daniella Address: Bl. Augustina Kazotica 6a, Trogir. Cuisine: Pizza. Restaurant Piccolo Ponte, Trogir Guest reviews: 10/10 ~ 1,9 km from Apartment Daniella Address: Vukovarska 9, 21220, Trogir. Cuisine: Pizza & Pasta, Grill. Restaurant Kamerlengo, Trogir Guest reviews: 7,6/10 ~ 1,9 km from Apartment Daniella Address: Vukovarska 2, 21220, Trogir. Prices: 6 HRK - 6 HRK. Cuisine: Croatian cuisine.